Very large chicken pot pie topped with slivered green onions. 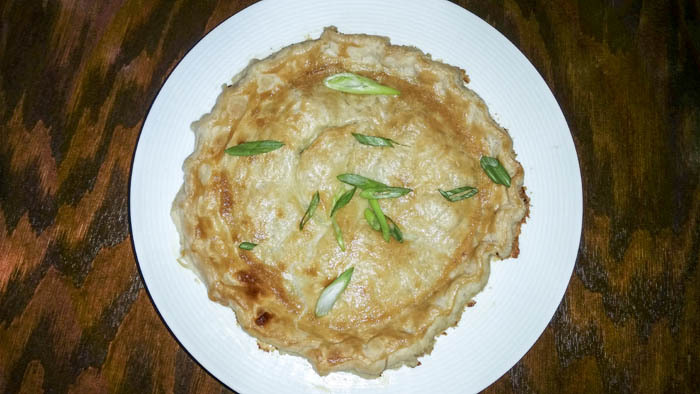 Caption: Very large chicken pot pie topped with slivered green onions. Comments: Very large chicken pot pie topped with slivered green onions.